There’s nothing like going to an art gallery to look at the beautiful paintings and pictures. All of them are incredibly creative and calming. Artists put a lot of effort into them so that they’re visually pleasing to the eye. My point is, you don’t want to scream “NOPE!” at the top of your lungs as a visceral reaction when you see a nice picture or painting. I sincerely apologize, but every single picture in this article is not visually pleasing. In fact, they’re very uncomfortable to look it. This reminds me of that one chair that we all have in our rooms that we throw all of our clothing on, and when we turn the light off it looks like a person. This is a great way to scare off any burglars though. 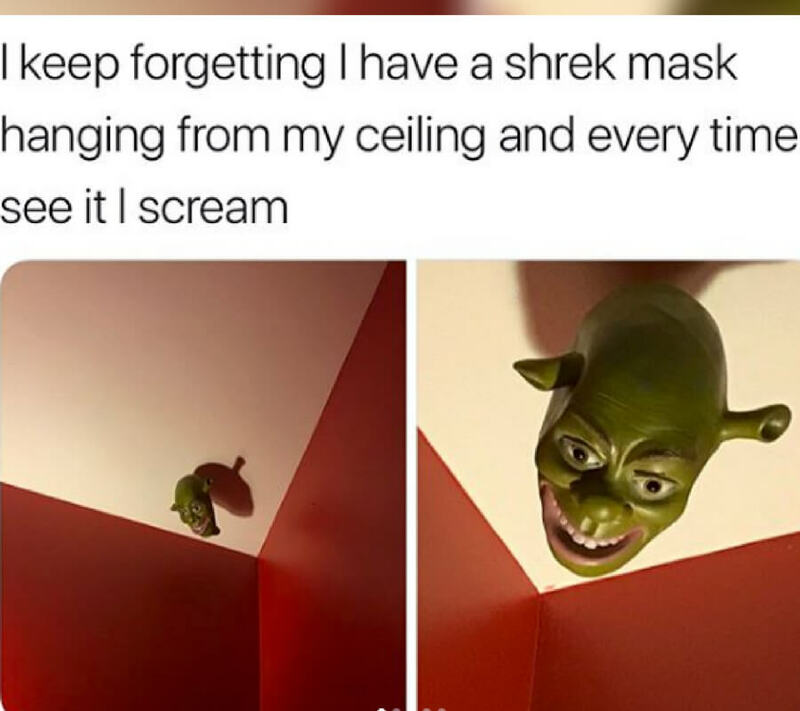 Have a Shrek head in every room and I assure you that the thieves won’t be sticking around long.